Blinded by her illogical belief in the occurrence of the improbable, Theresa May gets to stagger on for a bit longer. The EU had no choice but to cry "enough". It won't require a royal commission to determine the current British prime minister bears the brunt of responsibility for the meltdown in London over Brexit. Brussels was forced to take matters in hand to bring order to the rolling mayhem at Westminster. The trouble is, the latest attempt to get clarity through the political pea-souper hanging over Westminster looks as futile as all the others. The cliff-edge has been moved out a little, but the fall is as deep and forbidding as ever, in the event of a likely no deal. Mrs May's return to London was greeted with scorn by even members of her own party. To think her whole Brexit misadventure began with the mission statement to: "Take back control." Furious MPs openly compared her to Neville Chamberlain, amid growing calls for her to quit. The obloquy, at least for him, is likely to end soon should her deal fail a third time next week. A cabinet coup is looking more likely as the recriminations fester. Unfortunately, this does not guarantee the deadlock will end. For if she goes, her replacement will likely come from the Eurosceptic wing. In the most optimistic scenario, there will be a series of indicative votes. Compromise might eventually emerge to be agreed across the House. Hope, as Donald Tusk likes to remind us, should be last to die. Brussels may be gambling the mortification of the UK having to contest European elections, having spent three years trying to disentangle from the EU, may be a powerful incentive to avoid a lengthy delay. Mrs May's refusal to countenance membership of the customs union, or to step back from any of her infamous red lines, has been ruinous. The prospect of another referendum, or a confirmation election, could come into play, but given the levels of toxicity and rancour, it is difficult to see where unity can be found. Ireland is caught between the shifting tectonic plates. Politically and economically, the landscape will be very different post-Brexit. But without a deal, that terrain could be volcanic. As Taoiseach Leo Varadkar pointed out again yesterday, Ireland has obligations to protect the single market. Preventing the Border from becoming a back door into the single market will be our responsibility. France and Germany won't be long in reminding us of our duty. 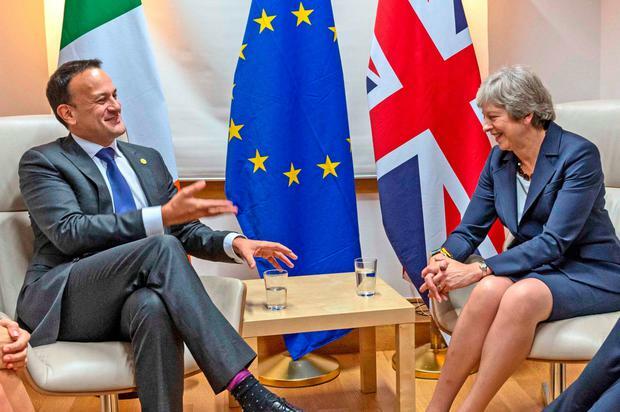 Mr Varadkar appears confident the UK government is amenable to managing the Border question in a no-deal outcome. But the EU will have the final say. At this point, all we really know is if the withdrawal deal is not agreed by April 12 there will be a crash-out, for which there is said to be no majority in the House. Alternatively, Brussels could allow a longer delay, but only with strings attached. This would see the UK actually tightening ties with the EU. We may be into the endgame, but to what end is as obscure as ever.